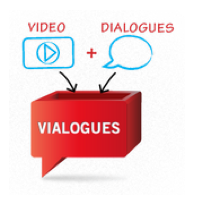 Vialogues: https://v ialogues.com/ is a tool that can be used to spark meaningful conversations with students around videos you post to the platform. The discussions allow for a time-stamped, annotation-like discussion. Online interactions can refer specifically to exact parts of the video using time stamps. To scaffold the discussion, you can add comments, surveys and open-ended questions for your students that encourage students to critically analyze video texts. Mozilla Popcorn Maker https://popcorn.webmaker.org/en-U S/editor/ is another tool for analyzing video (its surprisingly easy to use). Just take a video from YouTube and students can add their own commentary using pop-up boxes. Students can use it to critique the messages in commercials, music videos, or public service announcements. Use it in conjunction with, or in preparation for, a face-to-face dialogue to provide an avenue for students to share multiple points of view. Blendspace https://www.blendspace.com/ creates easy to use and beautiful to look at collections of inline resources (including images, videos, websites). Just drag and drop items into your Blendspace to curate an entire educational experience for your students. Optional features allow you to see which students have viewed the resources you posted. Quiz questions can be embedded throughout to help students track their progress through the content. Visit the Blendspace site and explore the different ways teachers are using this innovative resource to enhance educational experiences for students. 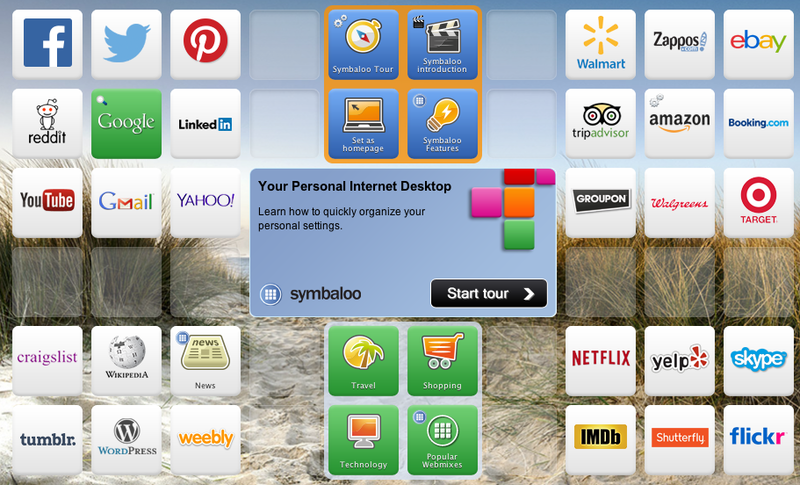 Symbaloo http://www.symbaloo.com/ is a curation tool that is organized like a grid. Eac h square contains an image and a link to a website. Many educators have used Symbaloo to organize sites that students regularly visit so they are accessible all in one place. Others have used it to collect resources for students to explore on a given topic. Collections are easy to share and are engaging to look at. Your students will make connections easily to the visual format. This video will introduce the benefits of its use in the classroom. Attending the Summer Institute in Digital Literacy was one of the most rewarding experiences of my professional career. If you’d like to attend the 2015 institute, mark your calendar for July 26 – July, 31, 2015 and visit the Media Education Lab at the University of Rhode Island website to learn more http://mediaeducationlab.com/summer-institute-digital-literacy. If you have used any of these resources in your classroom, leave us a comment. We’d love to hear from you (and we’ll benefit from your experiences, too). Last year at IRA, Dana was awarded the TILE-SIG Research Award. This year, she is the keynote speaker. The title of her keynote is “Changing the Landscape of Literacy Teacher Education: Innovations with Generative Technology.” Congratulations go, also, to our friend and colleague, Denise Johnson at the College of William and Mary, who is the TILE-SIG Research Award recipient this year and next year’s keynote speaker. Learn more about VSS+ on this blog here and here. View video examples of students’ VSS+ work below. Dana and Linda Smetana presented research on the manner in which preservice teachers approached and used ebook formats. And great news! Bloggers Jill and Bernadette with colleague Colin Harrison wrote a new book that debuted today. 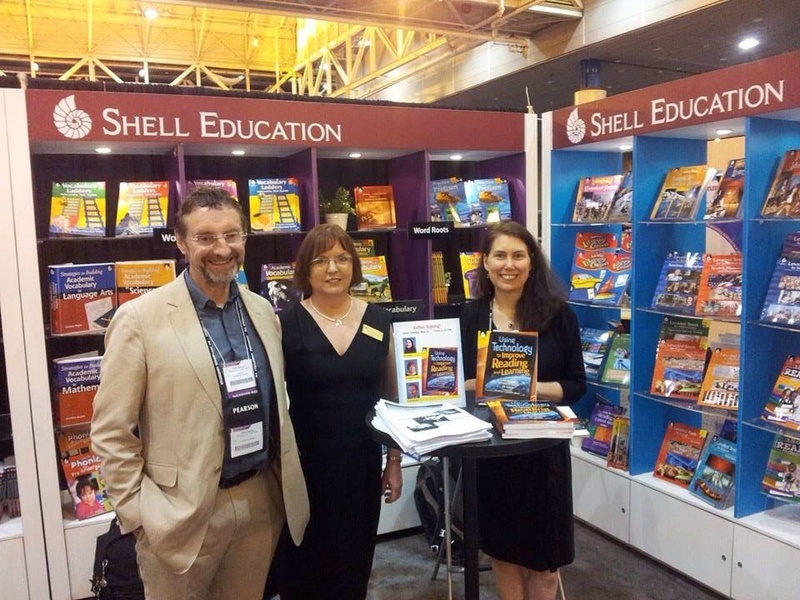 Colin, Bernadette, and Jill presented shared resources and ideas excerpted from their new book published by Shell Education. The IRA session entitled Transform Your Literacy Practice Using Internet Tools and Resources: Meeting Students’ Instructional Needs while Addressing the Common Core State Standards. Click here to access the presentation materials and website for the session. In the book, readers will discover how to effectively use technology to support students’ literacy development. New classroom uses for technology are introduced in this easy-to-use resource that help educators enhance students’ attention, engagement, creativity, and collaboration in reading and learning. Great for struggling readers, this book provides strategies for making content-area connections and using digital tools to develop reading comprehension.For more information about the book, click here. What do the PIAAC results suggest? In light of the PIAAC data being released last month (PIAAC stands for Program for the International Assessment of Adult Competencies) I’ve been thinking a lot about opportunities for school-based and life-long learning. This post focuses on what PIAAC is and reasons why might be interested in further exploring these data, and what they might suggest about the integration of technology into teaching and learning opportunities. PIAAC is a survey coordinated internationally by the Organization for Economic Cooperation and Development (OECD). It assesses key cognitive and workplace skills and measures competencies needed by adults in the 21st century, including literacy, numeracy and problem solving in technology-rich environments. PIAAC was designed to better understand the skills of the adult working-age population (ages 16-65) both nationally and internationally. It provides international comparison of the adult workforce that will enable the United States to better understand its global competitiveness and benchmark how well education and training systems are meeting emerging skill demands. With these data, researchers can examine and analyze what conditions and factors impact skills growth, maintenance, or loss over a working-age life cycle. Twenty-four participating countries and regions, including the United States, assessed adults in 2011–2012. Data from this survey were released in October 2013. Nine countries will administer an additional round of PIAAC in 2014. What do the PIAAC data show? In perusing these data, I learned that only between 2.9% and 8.8% of adults demonstrate the highest level of proficiency on the problem‑solving in technology‑rich environments. Given the prevalence of technology in our world, and the proliferation of technology in our lives, I would have expected a much higher level of proficiency for the wider population. This suggests to me that not only do we need to integrate technology more systematically into K-12 education, but that we also need to offer multiple opportunities for skill development across the lifespan. Not doing so puts our learners at a disadvantage for college and career readiness and limits their participating in our digitally-centered world. The developers of the PIAAC assessment have designed a suite of assessment tools that can be used by researchers within their own studies for a fee. This assessment is called Education and Skills Online (E&S Online). It is designed to provide individual level results that are linked to the PIAAC measures of literacy, numeracy, and problem solving in technology rich environments. These valid and reliable assessment tools are a computerized measure that assesses a set of cognitive and non-cognitive skills that individuals need for full participation in modern societies. The suite of tools incorporates flexibility and adaptability to provide reliable and valid measures of critical skills associated with work, home, and community. The skills and knowledge measured include being able to understand and use printed and electronic texts, reason with numbers, and solve problems in technology environments. If you’re a researcher working with technology, using such a measure of learning to determine the skill level of your learners (and benchmarking them to national norms) may offer you new and valuable insights. It might also inspire you to provide more opportunities to guide learners in their use of technology. There is a great deal to explore with the PIAAC data in terms of national and international trends. A quick Google search for PIAAC will offer you a variety of resources to explore. I look forward to your reflections and ideas. Comments are encouraged and welcomed! I’ve gotten excited about the possibility of engaging students (both K-12 and university) in collaborative digital reading responses. 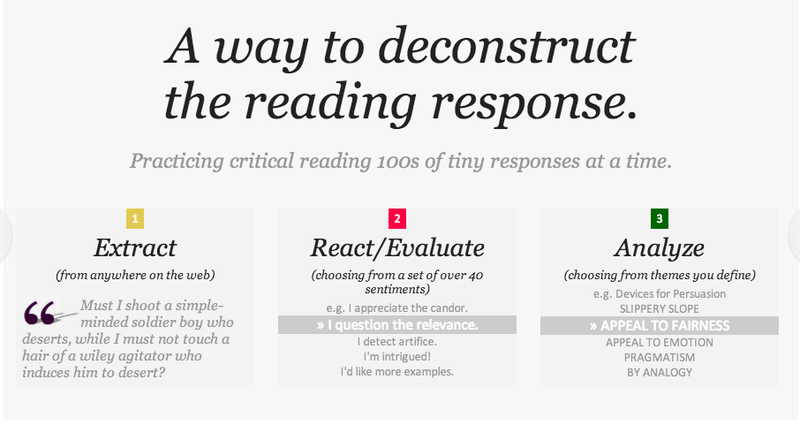 I have found that encouraging students to use embedded discussion tools (where they can dialogue about WHAT they’re reading WHILE they’re reading) prompts engagement in the reading process and supports deep and meaningful discussion. I’ve been exploring a range of digital tools that facilitate this process (Diigo, DocAS, and iAnnotate). I’ve recently learned about a new option called Ponder. This post focuses on the affordances of these tools. Ponder is a collaborative reading tool that links your students together in a community where each individual member can create reading responses in the form of annotations and reflect on the annotations of other students. In the process of engaging in an online dialogue, students deepen their understanding of material become more active and engaged readers. Ponder has a few notable benefits: 1) it’s free, 2) it’s already set up to support teachers (clustering students in to classes), 3) it enables content sharing amongst all the individuals who are invited into the class, and 4) it makes a suite of powerful analytics available to better understand what students are getting out of the reading they’re doing. Ponder is different from other social sharing sites like Diigo because it requires readers to extract a key excerpt from a reading assignment, reflect upon it by assigning a pre-populated “sentiment” to it (e.g. I’m confused, I’m skeptical, I disagree, among many others), and then tie it to the concepts they are studying by tagging it. Instantly, the reading responses are viewable by other students and available for additional comment. Assigning a pre-scripted annotation to an except through Ponder, as opposed to a free response using a sticky note as in Diigo has both plusses and minuses. First, it support students in thinking through, and in essence, synthesizing a response as opposed to simply posting an initial reaction. And secondly, the statements provided can act as a scaffold for learning how to construct a reading response. On the flip side, students may very well want to say something original to their peers about the content or pose a question for further reflection. Unfortunately, these are not viable options through Ponder. Ponder provides analytic tools to help teachers and instructors monitor reading engagement and identify students who are falling behind before it becomes a barrier to success. Teachers can then use the reading responses students have entered in Ponder to help them identify portions of the readings that were confusing. Analytics can also determine which segments contain particularly controversial ideas that can be used to target focused and purposeful in class discussions. While I’ve primarily used Diigo for collaborative response, I’m intrigued by the idea of playing with the pre-populated response options in Ponder as a means of reflection. It may free up the burden of saying something original and encouraging students to think critically about the text and the ideas it contains in a more supported way. I’m interested to collect students’ preferences to learn more. One additional affordance is of interest. Ponder tracks and archives the web articles that readers follow up to read after the assigned reading. These topics show up as related themes and are displayed on the class Ponder home page. These web texts offer additional reading allowing reader to dig deeper into the topic of the reading. The fact that these suggested readings stem from students’ actual web explorations has crowd sourcing potential. If you’re interested in trying out Ponder, leave a comment and let us know how it goes. I’ll do the same and we can compare notes. Happy reading! In response to the Common Core State Standards, and the growing literacy demands of a 21st century digital world, educators have increased their focus on practices related to critically navigating, evaluating, and creating texts using a range of digital technologies. When digital literacies is a part of classroom instruction students are better equipped to communicate effectively in digital media environments, as well as to comprehend the ever-changing digital landscape. The International Reading Association has created a cross-journal virtual issue focused on digital literacies. This new FREE virtual issue is available through Dec. 2013 and features articles from The Reading Teacher, Journal of Adolescent & Adult Literacy, and Reading Research Quarterly. The articles were selected by the editors of these journals for their impact on both literacy scholarship and practice. Among the offerings is Bridget Dalton’s piece entitled Multimodal Composition and the Common Core State Standards. This article describes how a Digital Writers’ Workshop can be a vehicle for integrating multimodal composition into the classroom. It offers general workshop principles and strategies, followed by a multimodal poem project illustrating how to scaffold students’ design processes. It invites teachers to contribute to the conversation about literacy and technology integration at The Reading Teacher‘s Facebook page. Another intriguing piece is co-authored by Jill Castek and Rick Beach. It’s entitled Using Apps to Support Disciplinary Literacy and Science Learning. This article showcases apps that help students access information, interpret and share information, and create multimedia products. Classroom examples illustrate how to use these tools strategically to enhance learning. For additional insights, don’t miss the Podcast supplement for this article. Comprehending and Learning From Internet Sources: Processing Patterns of Better and Poorer Learners co-authored by Susan R. Goldman, Jason L.G. Braasch, Jennifer Wiley, Arthur C. Graesser, Kamila Brodowinska used think-aloud protocol methodology to better understand the processing that learners engaged in when performing a web-based inquiry task about volcanoes using multiple Internet sources. In this study, 10 better learners were contrasted with 11 poorer learners. Findings suggest that multiple-source comprehension is a dynamic process that involves interplay among sense-making, monitoring, and evaluation processes, all of which promote strategic reading. There are several more great articles in the virtual issue on digital literacies. We hope the ideas you find within these articles will spark a whole host of new implementation directions for you and your students. Happy reading!